Race and Distance are now the only shoes from Salming original line up that still carry their original midsole shape. Some changes has been made to the firmness and outsole rubber over the years but the shape and outsole patterns remains the same. Race is a pure racing flat that in the past have been using from 5K up to half marathon. I've been thinking about trying Race for the full marathon, but in the end I have always picked Salming Speed or Distance, thinking Race its not enough shoe for me. I'm now about two weeks away from Boston Marathon, and I'm thinking Race5 with its brand new upper will be my pick for the race, for two reasons. 1)The new upper, secure the foot much better then previous editions of Race. The foot gets centered more and you can take advantaged of the energy return from the cushion in a more secure way. 2)The old Speed is now discontinued and replaced by Speed5. 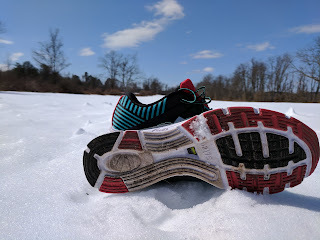 Speed5 is now more of a performance shoe ( review here ) rather then a marathon flat. The new Race5 has the same "raw" road feel that the old Speed had. 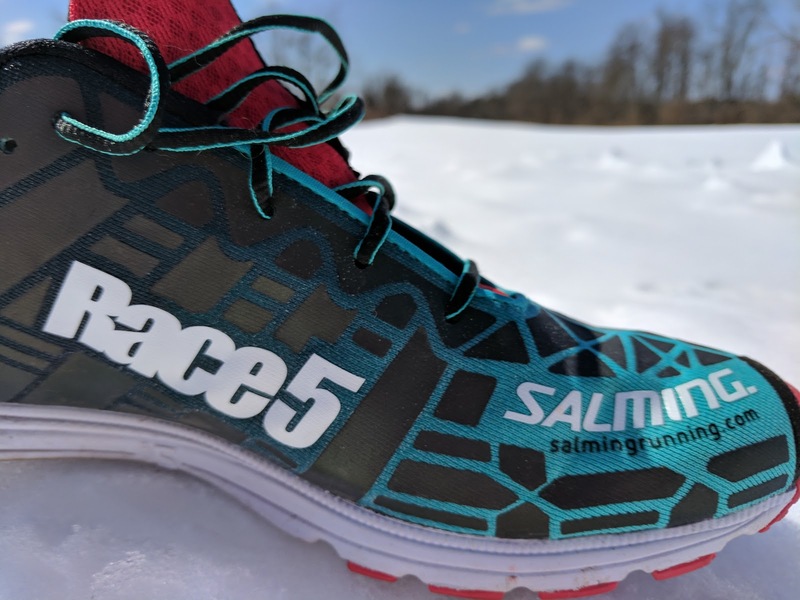 Salming Race5 gets a brand new one piece upper. Its a stretchy fabric that hugs your feet extremely well, without being to tight. The foot does not move around and feels more centered over the Runlite midsole then previous Race editions. The mesh is not see thru but feels thin and light enough to be breathable. To build up support around the upper fabric, Salming are using Exo Skeleton technology. 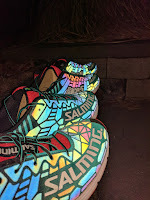 Its not the traditional "skeleton" we have seen on all other Salming shoes. Here Salming are using a print technology to create necessary support to the one piece mesh. With this technology Salming are saving weight and the support works with one piece fabric to create a solid "one piece" feeling. The printed "blocks" are also reflective at night, which makes the shoe to stand out. Not that you are racing at night to often, but its a cool feature without adding any extra weight to the shoe. +Extremely hug friendly upper. It just wraps your foot, without causing any hotspots from the support elements. 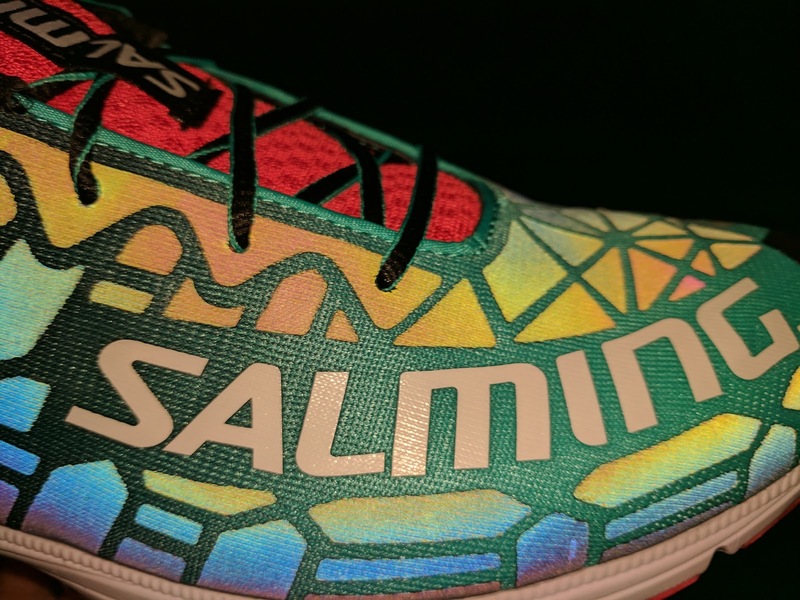 The Salming Race Midsole/Outsole unit has been pretty much been untouched since the very first edition. Runlite has been tweaked over the years a bit but Race5 has the same Runlite as last years edition. Last years Runlite was lighter and more responsive. You will find a carbon fiber torsion unit in the midfoot, to give the shoe some support and a "snappy" feeling. Outsole has lightweight rubber place on strategic places only, to save weight. To save more weight I can see different pattern, perhaps a bit more aggressive outsole, to get a faster feeling. 65% /75 angle is in cooperated as with all Salming shoes. In Race5 case, the shoe feels very supportive as it is also built low to the ground at the same time as 65% remains supportive without flex. +Runlite compound feels very fast and "snappy". -Race could used 1-2mm more stack height to make it more versatile and accessible. 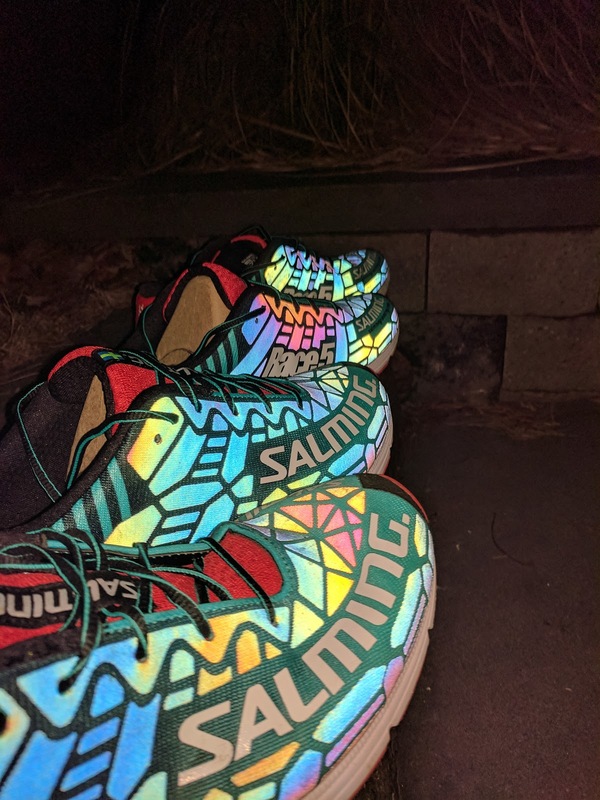 I can understand why Salming keeps its Runlite compound midsole/outsole the same on the lighter racing flats. Its fast, responsive and protective. If you're one of those runners who are missing the old Speed, you can still find the "raw" feeling with Race5 as many of the runners loved with Speed. 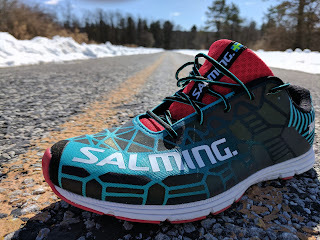 This feeling might not be for everyone but Salming D5 is the next step up and can be used as an excellent racing flat for the longer distances as marathon. That's a good lookin' shoe, and it sounds like a great choice for the marathon! 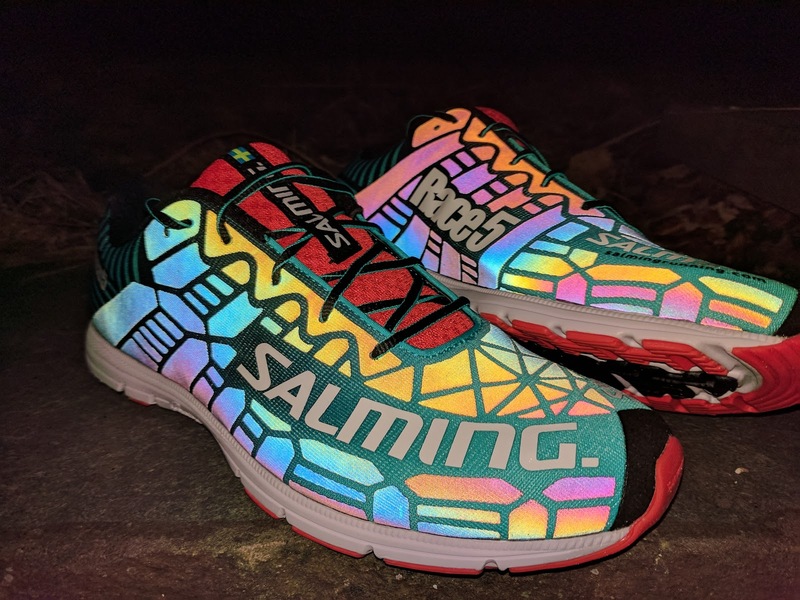 Would still love to give a pair of Salmings a test run sometime! The rise of online shopping store make easy shopping and helps to discover such products in easier manner. Still not had the guts to go with the Race 5 on a Marathon yet but I am considering it at Berlin. I have been running my recent Road Marathon's in the Distance D5 and hold my current PB running in that shoe. Because the roads are supposed to be so good in Berlin, I am thinking about giving the Race 5's a go. I run multi terrain Marathon's in Saucony Peregrine's which I find great.